Augustin Fresnel (1788–1827) shocked the scientific elite with his unique understanding of the physics of light. The lens he invented was a brilliant feat of engineering that made lighthouses blaze many times brighter, farther, and more efficiently. Battling the establishment, his own poor health, and the limited technology of the time, Fresnel was able to achieve his goal of illuminating the entire French coast. At first, the British sought to outdo the new Fresnel-equipped lighthouses as a matter of national pride. Americans, too, resisted abandoning their primitive lamps, but the superiority of the Fresnel lens could not bedenied for long. Soon, from Dunkirk to Saigon, shores were brightened with the Fresnel lens. The Fresnel legacy played an important role in geopolitical events, including the American Civil War. No sooner were Fresnel lenses finally installed along U.S. shores than they were drafted: the Union blockaded the Confederate coast; the Confederacy set about thwarting it by dismantling and hiding or destroying the powerful new lights. 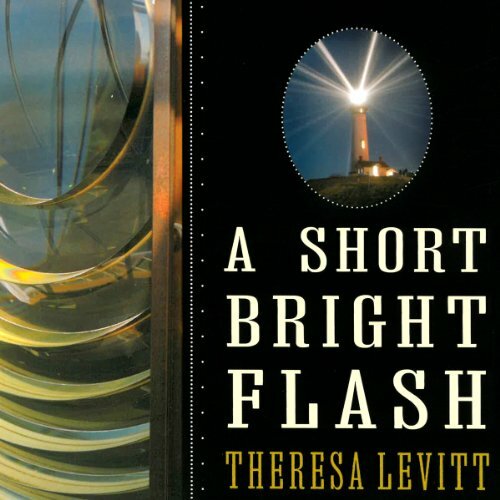 ©2013 Theresa Levitt (P)2013 Audible, Inc. If you could sum up A Short Bright Flash in three words, what would they be? that three words is not enough. What other book might you compare A Short Bright Flash to and why? i am young and just catching up on my reading. this book stands alone. Have you listened to any of Teri Clark Linden’s other performances before? How does this one compare? no i have not. but i did enjoy her rendition. this book is on science. i am emotional about science. i love science.